Finding calm and inner peace through yoga, meditation and mindfulness is 100 percent a worthwhile goal. But not at the expense of embracing the fire within us. A Norwegian relative recently asked me what “sass” was. 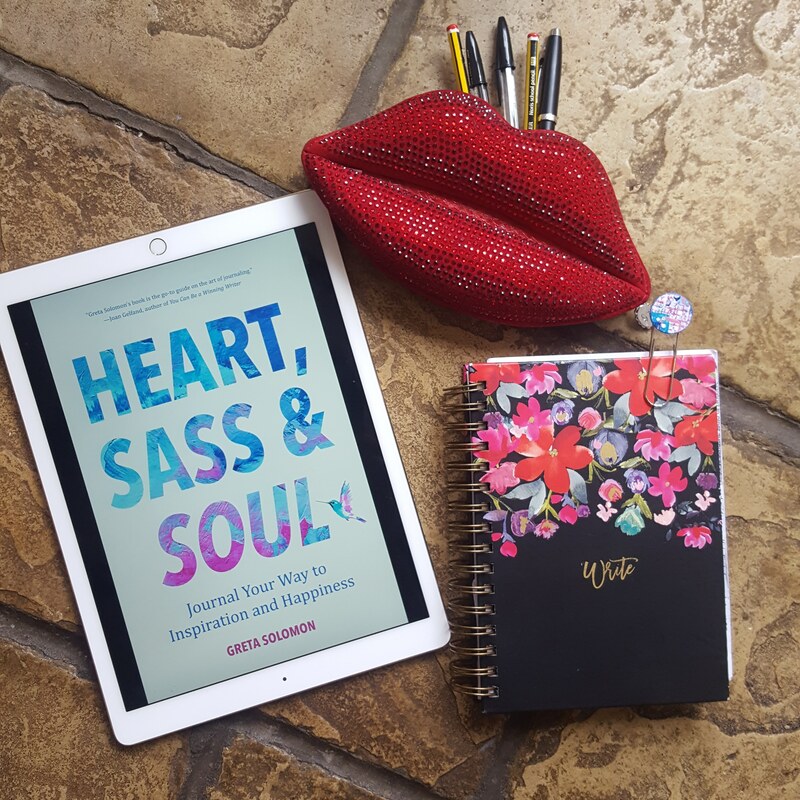 She wanted to know as she’d pre-ordered three copies of my book Heart, Sass & Soul: Journal Your Way to Inspiration and Happiness. It took me a while to formulate an answer. There’s no direct Norwegian translation and even the English definition doesn’t quite hit the mark. A parent at the school gates asked me too. So, I said, “You know, it’s…” And then I inserted my best sassy move in lieu of words. She replied, “So, it’s a movement, not a thing.” Well, not exactly. Having written a book with sass as a core theme, naturally, I’ve looked up the dictionary definition. According to dictionary.com, “sass” can mean “impertinent”, “insolent”, “saucy”, “pert” and “boldly”. But these don’t quite sum up the state of being you get when you embody it as a core value. If I had to choose a definition, I’d think of it as “chutzpah”, my all-time favourite Yiddish word. It’s about having the guts, and the assertion to be resolutely YOU. It’s about creative desire – feeling good in your body, and in the world, and using that to drive action. We need more sass in our lives because it’s the magic that makes life come alive. Creative desire comes from the need to express your TRUE self. However, doing so can feel unfamiliar to you and others. It’s unsettling, perhaps even threatening to see someone rise. The people around you will have to adjust. But it’s likely that their first instinct is to try to douse your flames – thinking you are out of control. They may be scared you’re going to burn out; reduce yourself to cinders and char them in the process. They may just think that something is wrong with you, and you must change your ways. But this fire in your heart and belly is a sign that the terrain has changed, and ultimately it means that they need to wake-up and shake-up too. All of this destabilises the status quo. Someone who was once super easy-going and happy to plod along, may now need space and time to paint, draw or sew. Someone once happy to suppress niggling doubts about a situation, may feel compelled to speak-up. Someone once happy to veg out in front of the telly, now needs to journal their thoughts. Of course, none of these activities in-and-of-themselves are dangerous or threatening. But they are problematic for the people who were invested in your silence, and who relied on you to defer to their needs. Not their emotional needs, but their ego needs. The things they rely on other people to give them that they can’t give themselves. These are things like attention, care and nurturance – that they haven’t learned to provide for themselves from within. So, with your focus on a creative activity, they may feel bereft. In her legendary poem And Still I Rise, Maya Angelou asks: “Does my sass upset you?” And for me, it’s such a tantalising question because, yes, being sassy can upset people. Rising from ashes. Overcoming the odds. Or just having the balls to go after your dreams can put the veritable cat among the pigeons. In the wellness world, I often think we’re encouraged to be too yin. Yes, finding calm and inner peace through yoga and mindfulness is 100 percent a worthwhile goal. But not at the expense of embracing the fire within us – that includes things like anger and loss and grief. Working through these emotions can give us the fuel we need to fire our lives. So, how do you get more sass? Well from breaking the rules once in a while. Not legal ones – societal ones. It’s about throwing out the need to be the ‘good girl’. It’s anything from wearing a fancy vintage dress at 11am (just because) to putting your heart and soul on the line for something you love. It’s having the courage to confront our shadow sides and fiercely love ourselves for who and what we are. So, what is one sassy thing you can do today?